Reassurance shield as SR 60 joins I-215. 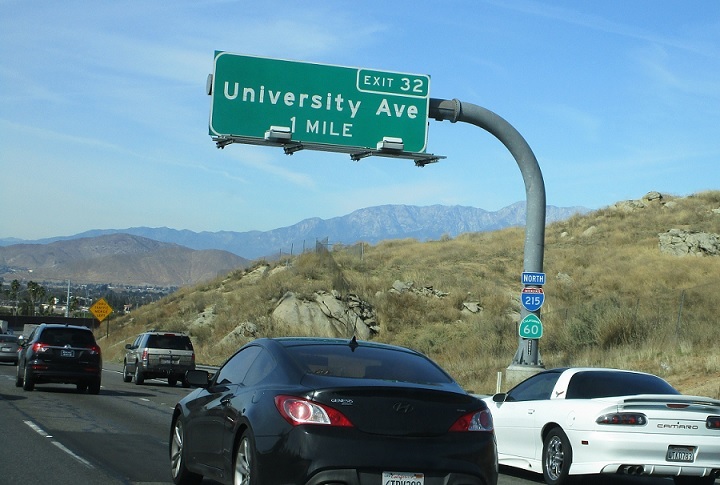 In 3/4 of a mile, exit for SR 60 Business west/University Ave. 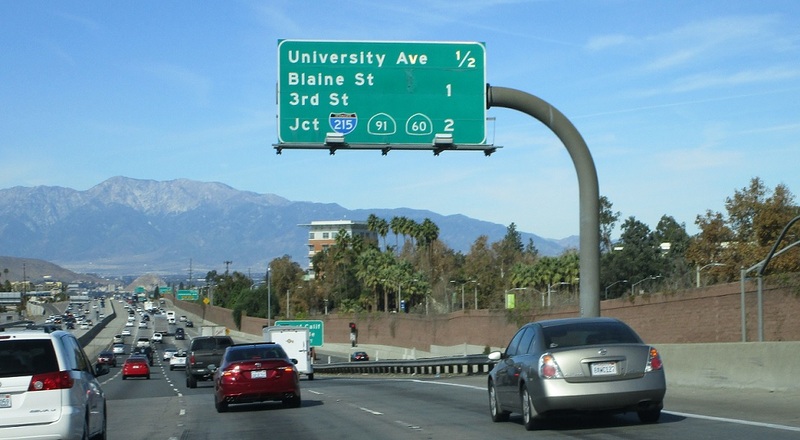 In two miles, SR 60 and I-215 will split as both routes meet SR 91.